For more than 20 years Mark Burton has worked in the field of taxation law: in private practice and also as an academic. Mark has taught extensively in the taxation law field at undergraduate, graduate and postgraduate levels. Mark has undertaken consultancies with the Australian Taxation Office and also with the Australian National Audit Office. Mark has published his research and scholarship upon tax matters both within Australia and internationally. This research spans technical tax issues, the theory and practice of tax administration, the ethical aspect of taxation law, tax policy and the tax legislative process. Mark is co-author of Understanding Taxation Law, LexisNexis, 2013 and Tax Expenditure Management – A Critical Assessment, Cambridge University Press, 2013. Mark is currently working upon a monograph manuscript with respect to aspects of the philosophy of taxation: empirical, political and interpretive. 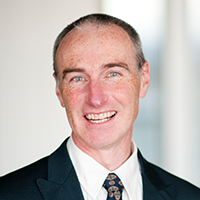 Mark completed his PhD(Law) at the Australian National University, and his doctoral dissertation examined the theory, history and practice of interpreting tax legislation.